Your desktop probably isn't the ideal place to watch DVD movie, especially when you are on the train for a journey. Mostly travelers will be inclined to watch DVD on iPhone 7/6S. But when talking about DVD movie playback, iPhone 7/6S usually is limited by two things: Capacity and files compatibility. To play DVD movie on your iPhone 7 effortlessly, both (rip the DVD movie with Handbrake to iPhone 7 compatible format and store the movie on iPhone 7 across the iTunes' sync) are undesirable compromised. If you do already have tons of DVD movies on your PC or Mac, surely we should be creative to find solutions to watch DVD movie on iPhone 7 on the go. Air Playit does just that. It provides a simple solution for streaming DVD movie to iPhone 7 on the fly without DVD ripping and iTunes' sync. Importantly when you play DVD on your iPhone 7 with Air Playit, the DVD movie takes no space on your iPhone 7. How to Streaming DVD Movie to iPhone 7 with Air Playit? 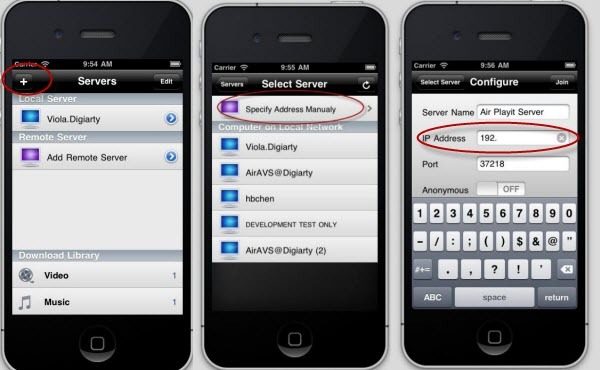 Before you stream DVD movie to iPhone 7 with Air Playit, please run the server application on the computer and the client application on the iPhone 7. Integrate the server with the client, you are enabled to stream DVD movies to iPhone 7. 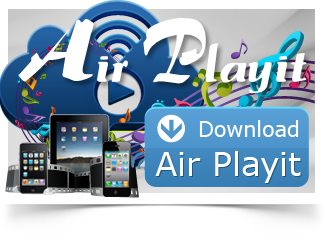 Navigate to the Air Playit webpage to download the Air Playit Server. Download the appropriate version for your operating system and follow the installation wizard. Step One: Running the server on your computer. 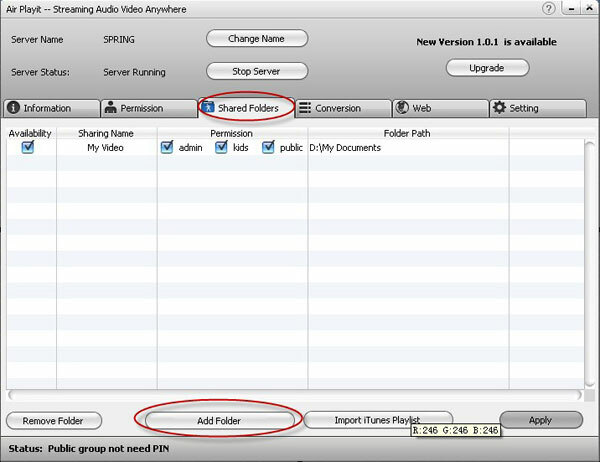 Add DVD movies to the "Shared Folder". Step Two: Visit the App Store from your iPhone 7 or search Air Playit in iTunes. Download the free iPhone client on your iPhone 7 and run it. The client will automatically find your computer server with WiFi, 3G/4G network. Or you can manually click "+" to add the IP address and the Port. Step Three: Streaming DVD movie to iPhone 4 from the list of available files on your Air Playit client. With several clicks, you can now watch DVD on iPhone 4 smoothly. WinX DVD Ripper Platinum can rip DVD to digital formats like MP4, H.264, AVI, WMV and MOV, backup DVD to a single MPEG2 file with no video/audio qulity sacrifice on Windows (10) PC/Mac. So that you can stream DVD movie to iPhone/iPad/TV with Air Playit perfectly.